What conditions does Vraylar treat? Tell your doctor right away if you have any serious side effects, such as: fainting, trouble swallowing, restlessness (especially in the legs), shaking (tremor), muscle spasm, mask-like expression of the face, seizures, signs of infection (such as sore throat that doesn't go away, fever, chills, cough). A very serious allergic reaction to this drug is rare. However, get medical help right away if you notice any symptoms of a serious allergic reaction, such as: rash, itching/swelling (especially of the face/tongue/throat), severe dizziness, trouble breathing. List Vraylar side effects by likelihood and severity. Before using this medication, tell your doctor or pharmacist your medical history, especially of: poor blood flow to the brain (such as cerebrovascular disease, stroke), diabetes (including family history), heart problems (such as heart failure, irregular heartbeat), loss of too much body water (dehydration), high blood pressure, nervous system problems (such as dementia, NMS, seizures), obesity, low white blood cell count (such as history of low white blood cell count caused by medications), swallowing problems. What should I know regarding pregnancy, nursing and administering Vraylar to children or the elderly? Does Vraylar interact with other medications? Do not flush medications down the toilet or pour them into a drain unless instructed to do so. Properly discard this product when it is expired or no longer needed. Consult your pharmacist or local waste disposal company.Information last revised March 2017. Copyright(c) 2017 First Databank, Inc. 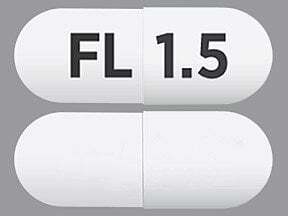 This medicine is a white, oblong, capsule imprinted with "FL" and "1.5". 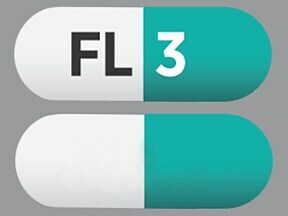 This medicine is a green white, oblong, capsule imprinted with "FL" and "3". 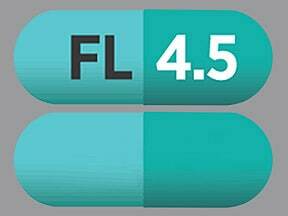 This medicine is a green blue-green, oblong, capsule imprinted with "FL" and "4.5". 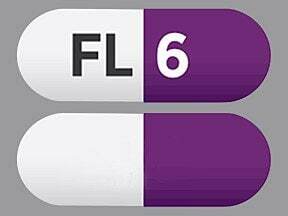 This medicine is a white purple, oblong, capsule imprinted with "FL" and "6". Are you considering switching to Vraylar? How long have you been taking Vraylar?